We’re well into 2018 now… which means it’s time to start looking at Kentucky Derby hopefuls! 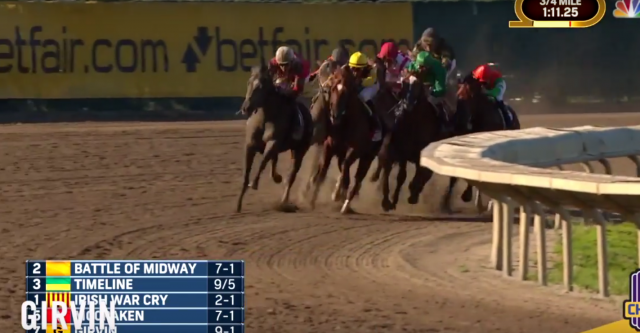 Watch McKinzie dominate the Grade III Sham Stakes. 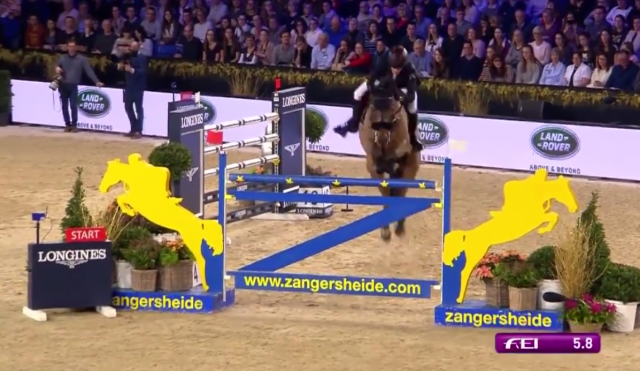 While no equestrian ever takes a single day off (horses need to eat, even on holidays) show jumpers truly never rest: watch Harrie Smolders take the ninth leg of the Longines FEI World Cup Jumping 2017/2018 Western European League at Mechelen in Belgium! 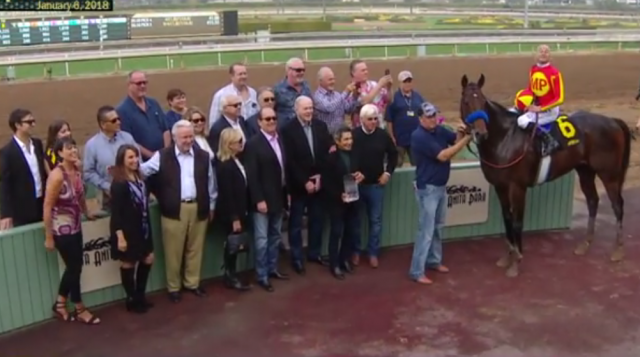 The Grade I La Brea Stakes was part of Santa Anita Racetrack’s great opening day on Tuesday, December 26 — and racing fans were treated to a real showdown between Paradise Woods and Unique Bella. 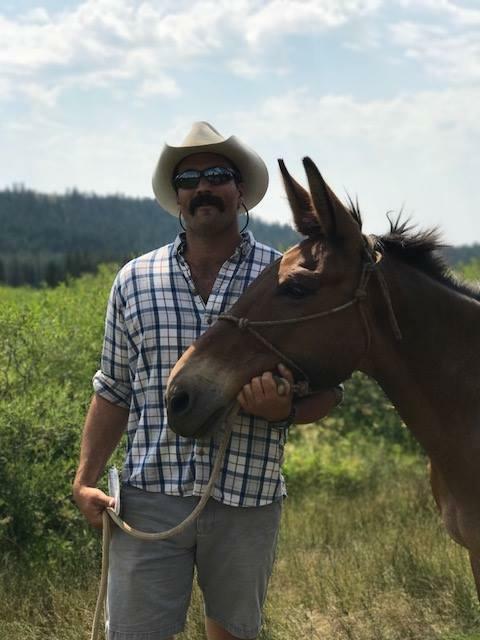 Welcome to the 2017 Horse Nation Readers’ Choice Awards! 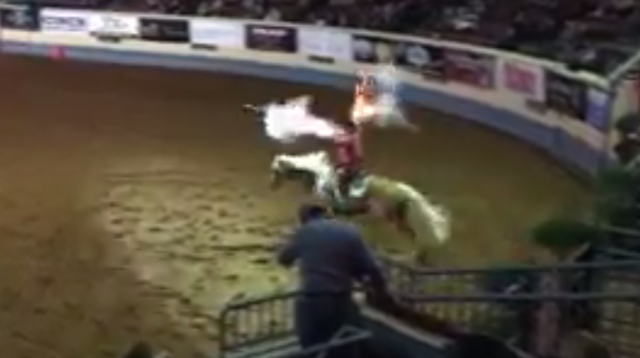 Vote for your favorite performance of the year, presented by SpectraVET Therapeutic Lasers. 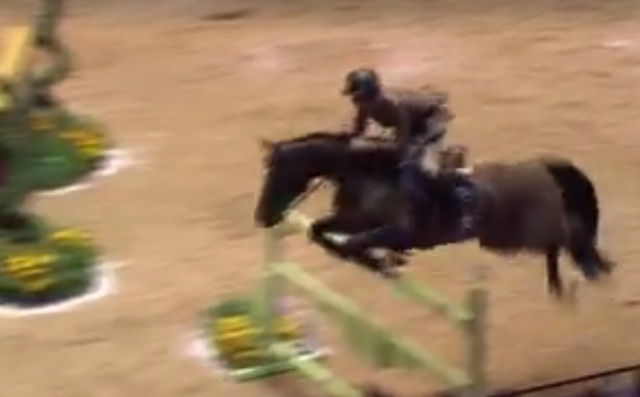 If you had “masterclass in show jumping” on your Christmas list, consider that item checked off. 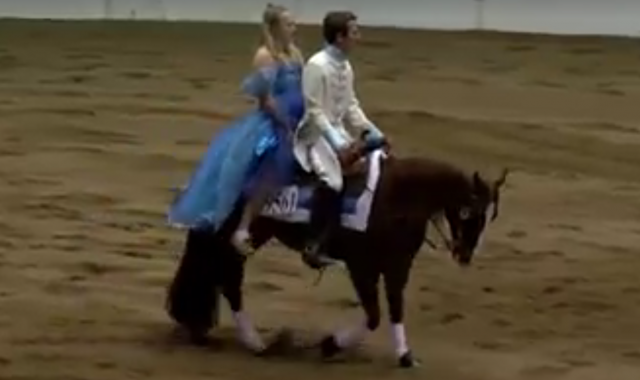 Someone was clearly paying attention during No-Stirrup November. 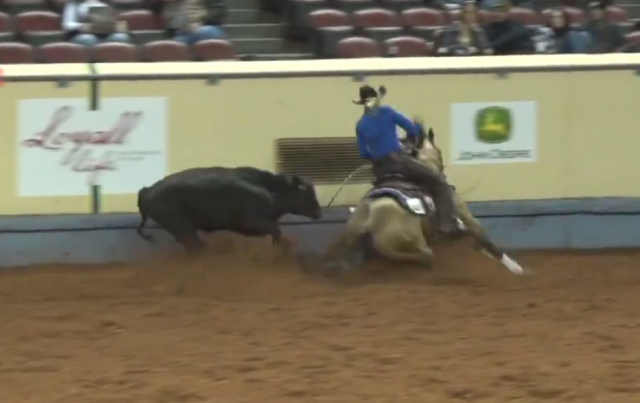 Quite possibly one of the most entertaining individuals in training and reining today, Dan James wowed the crowd in Oklahoma City at the NRHA Futurity Freestyle — don’t miss this performance aboard Don Magnum! 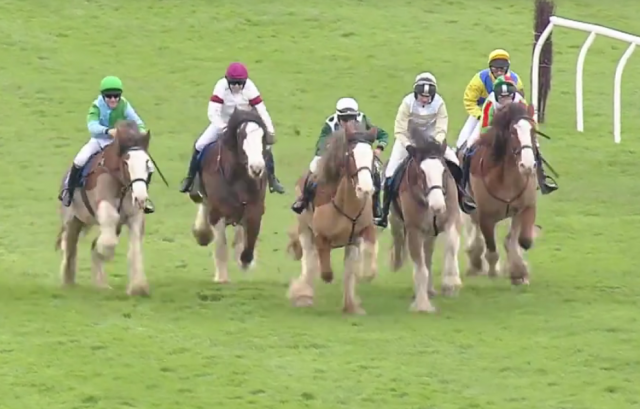 Definitely keep clear of the racecourse for this showdown: the annual Clydesdale Race thundered across Exeter Racecourse on Sunday! 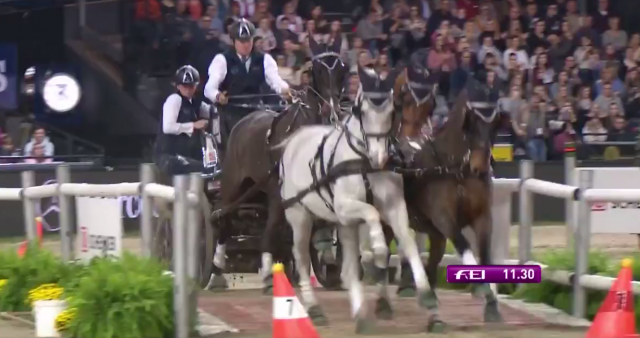 Indoor season is upon us… and that means that the total insanity that is FEI World Cup Driving is back, with the king of the ring Boyd Exell capturing the first win of the season. Watch the performance here! 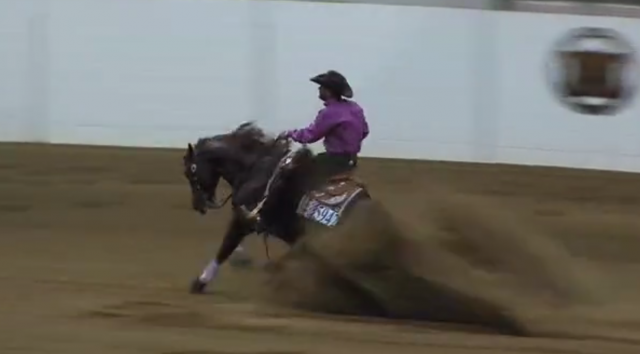 You do not want to miss this record-breaking winning run from the AQHA World Show in Junior Working Cow Horse! 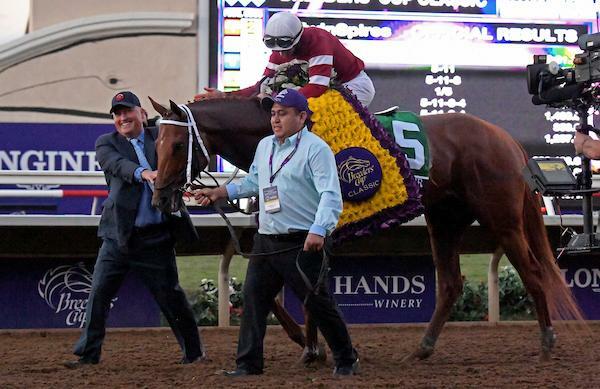 In case you missed it: watch likely Horse of the Year, Gun Runner, conquer the best of them in the Breeders’ Cup Classic. 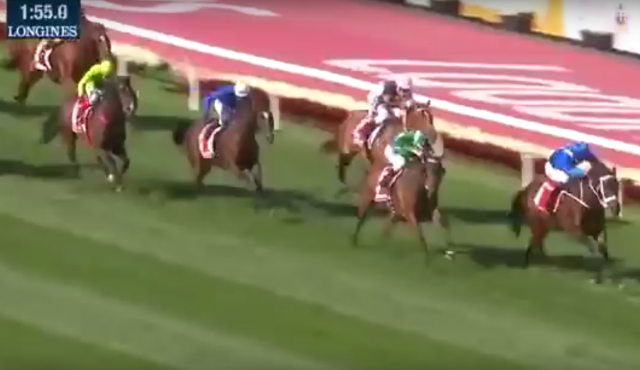 In case you missed it, the indomitable Australian mare Winx captured a historic third win in the Cox Plate over the weekend. Watch the thrilling victory here! 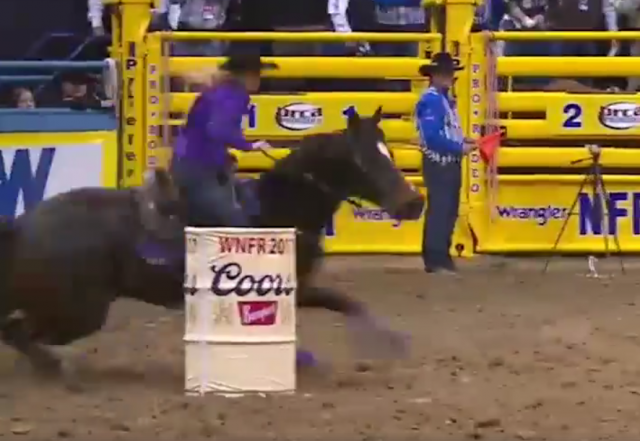 The winning round from the 2017 Medal Final has been going viral this week: when you watch the talented Taylor St. Jacques nail it with no stirrups, you’ll see why! 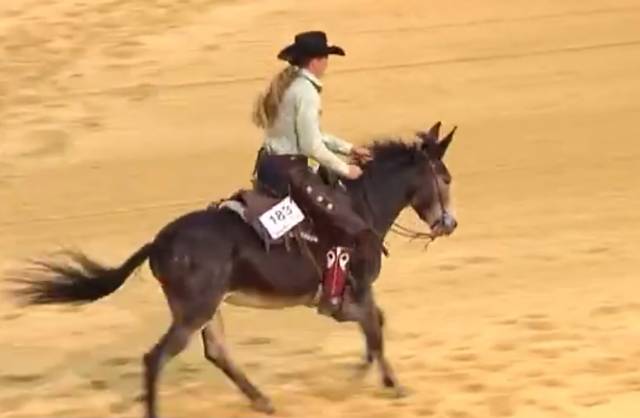 It was an All-American weekend: All American Vintage, piloted by Andrea Fappani, won the All-American Quarter Horse Congress Reining Futurity! 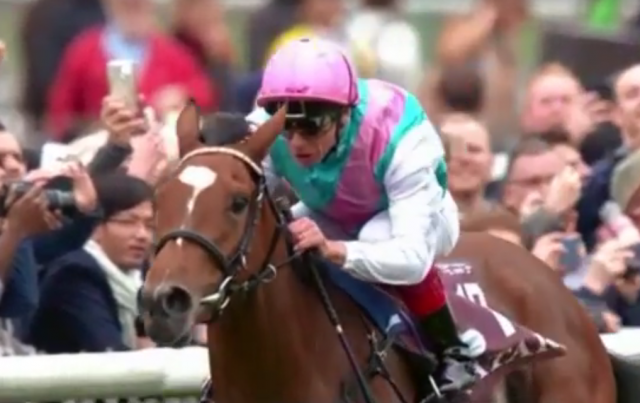 After an already incredible three-year-old season, British-bred filly Enable conquered the biggest prize in Europe: the Prix de l’Arc de Triomphe. 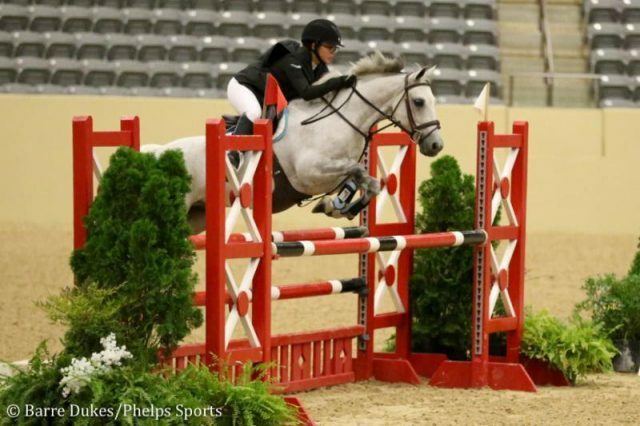 When the eventers come to town, you know it’s going to get a little bit wild — and last Saturday’s Central Park Horse Show Relay Arena Eventing was no exception. 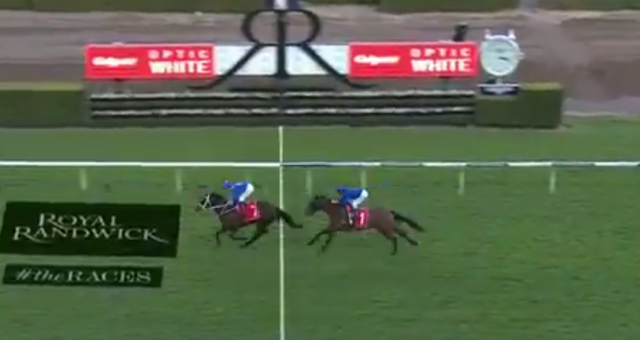 Australian superstar mare Winx won her 20th race in a row on September 16, 2017 with victory in the George Main Stakes. 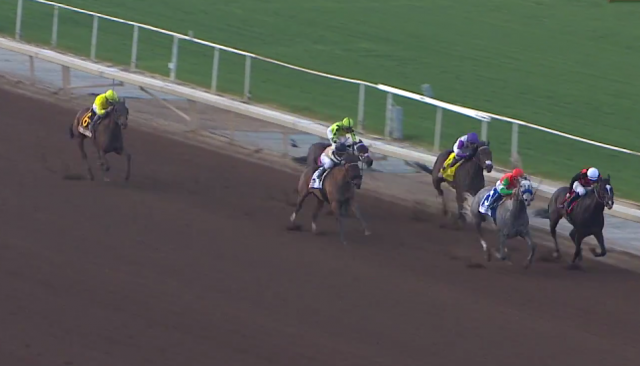 Watch her daring win here! We’ve seen plenty of costume classes in our day, but we have to admit that we’ve never seen one quite as epic as this. 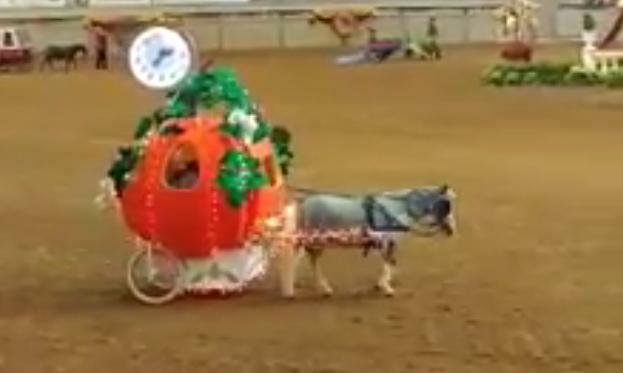 Our cowboy hats are off to Diana Royer and her mule Cosima for this ranch riding performance at Germany’s Americana show! 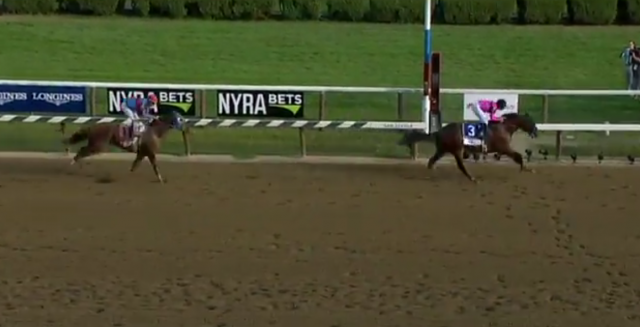 West Coast took a dominating wire-to-wire win in Saturday’s Travers Stakes, earning his first Grade I win and marking himself as a colt to watch into the autumn. 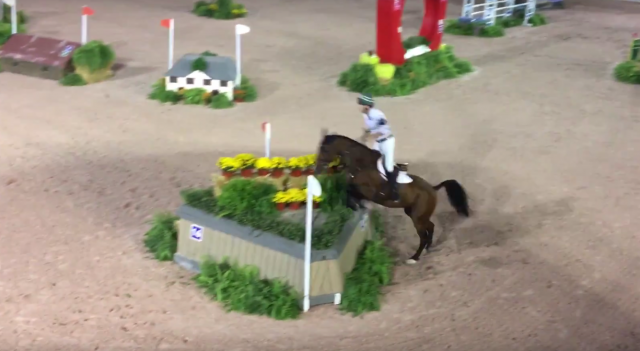 Ingrid Klimke and Horseware Hale Bob finished on their dressage score to win the individual gold medal at the FEI European Eventing Championships: check out highlights from their performance! 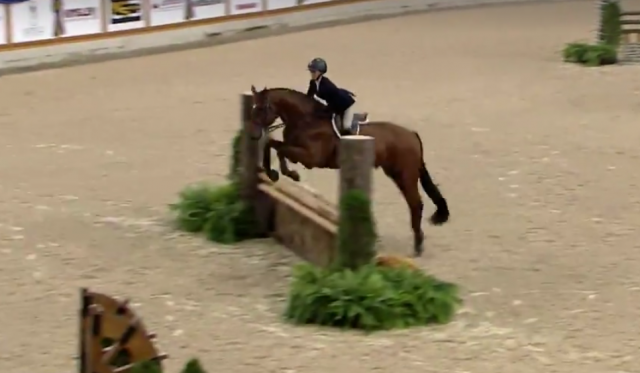 One rider, one pony and three clear rounds clinched the USEF Pony Jumper Championship for Tabitha Okitsu and Spoot De La Jourlais at the 2017 USEF Pony Finals! This week’s honoree: Brian Reome. The winner might be announced in the video title, but we challenge you to really see this one coming.